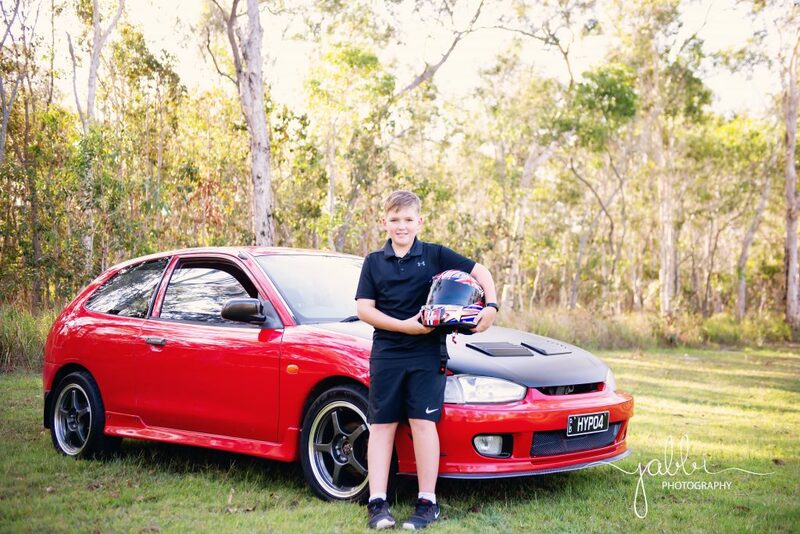 Nominated sporting Club: Central Coast Car Club Inc.
Kobi is right into his Car Racing Motorsports, competing in both Khanacross and Motorkhana. Khanacross is a short course dirt rally, which involves timed events in different layouts and Motokhana is on bitumen and is designed to test the acceleration, braking and handling of cars and the skill and judgment of drivers. For the 2018 season Kobi came out with two 1st places and one 2nd place in the Junior Division if the Central Coast Car Club Inc. Khanacross. For the Central Coast Car Club Inc. Junior Motorkhana rounds Kobi took out two 1st places and his times placed him 2nd overall (including seniors times!) for the events.